The Nintendo Labo VR experience is one you will never forget, but that’s not always a good thing. They aren’t all that difficult to make, and take a minimal amount of concentration to complete, but the process of making any given one of the six Toy-Cons in the VR kit can feel a bit draining. Immediately, I was transported into a Breath of the Wild-like world. I had a smile planted firmly on my face, and I was ever so excited to be flying in a way that felt real. On top of that, there are pinwheel and pump Wind Pedal additions that further immerse you in the sky soaring VR experience. 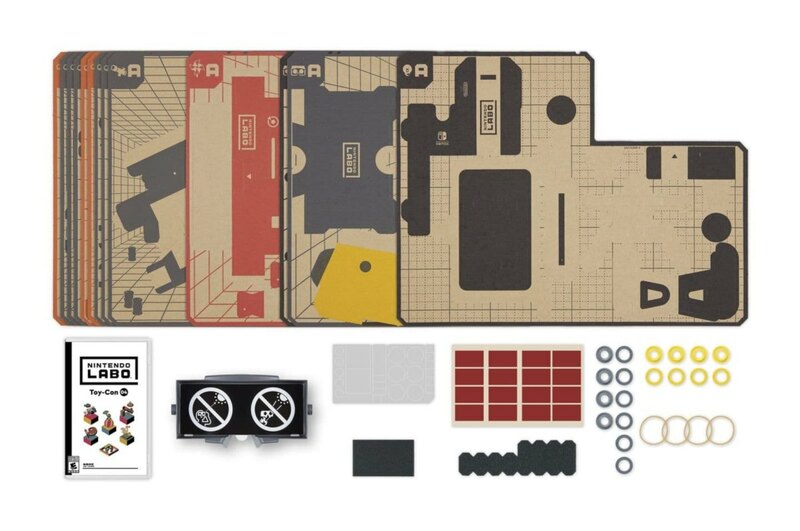 It was all breathtaking, and sold me on not only the functionality of the Nintendo Labo cardboard kits, but also on Nintendo’s VR capabilities. That’s a shame because I was eager to have another immersive experience in Nintendo’s Labo VR line. Unfortunately, the awkward construction of the Elephant Toy-Con prevented me from experiencing the full wonder of the Elephant’s games. The vanilla VR games didn’t have anything to really draw my attention, but that’s not to say they weren’t well-made. Everything I tried out was cute, and had a fun concept, but many could be experienced in seconds to get the gist of what they were about. Yes. Work with kids to help them build these simple but time-consuming kits (expect most to take anywhere near 1 1/2 to 2 hours to complete). Be careful to teach kids to heed the saftey warnings about not looking into bright lights while wearing the goggles, and to also not leave them in a place where sunlight could funnel through the goggles, potentially lighting a fire.